Hey y'all! Happy Monday! How were your weekends? As I mentioned on Friday, I'm prepping for an epic series of handmade Christmas ornaments that starts on Wednesday. It'll be 12 bloggers sharing 12 ornaments a piece for 12 consecutive days...eek! That means I won't be able to talk a lot about Thanksgiving-related things this year, which I'm actually rather sad about since it's one of my favorite holidays, but I wanted to be able to share at least one post with you before diving into Christmas ornaments on Wednesday. 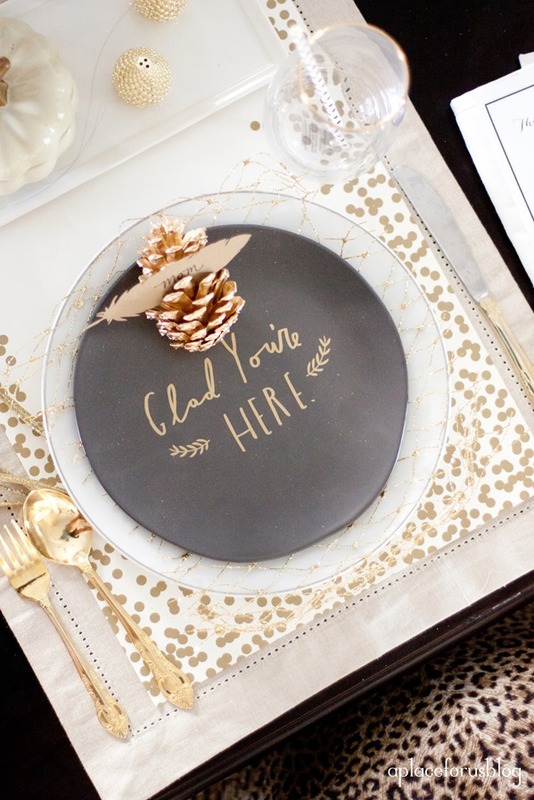 Over the past couple of weeks I've been so inspired by pretty Thanksgiving tables. Table settings aren't something I've done much of in the past, so it's like a whole new world to me. 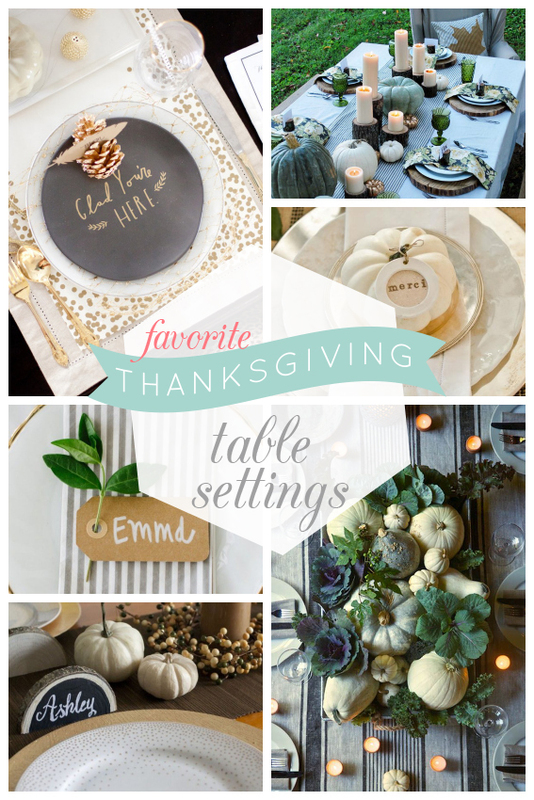 There are so many creative and talented people who have a knack for this kind of thing and I wanted to share a few of my favorite tables with you today. For a more muted (and less shiny) table, try natural elements like pumpkins, linen and green plants. 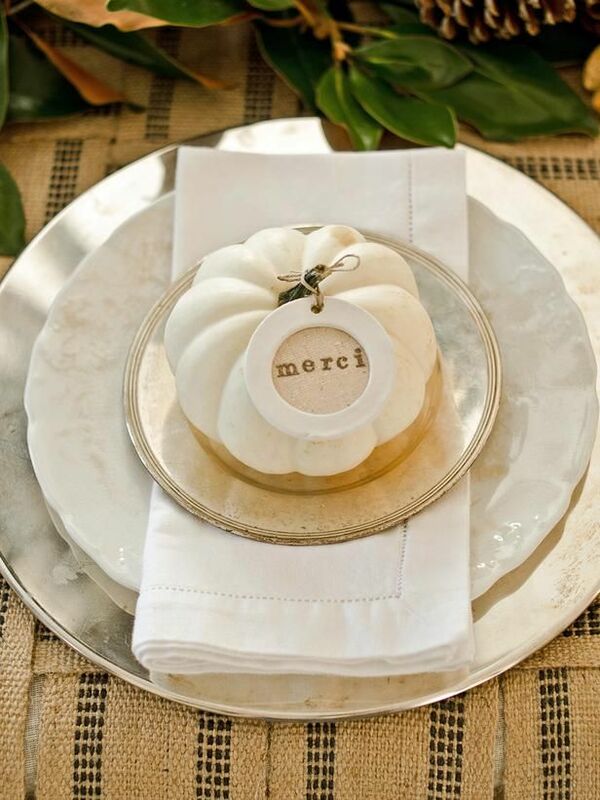 Mini white pumpkins are a perfect little thank you gift for guests to take with them and they look adorable sitting on the plates. 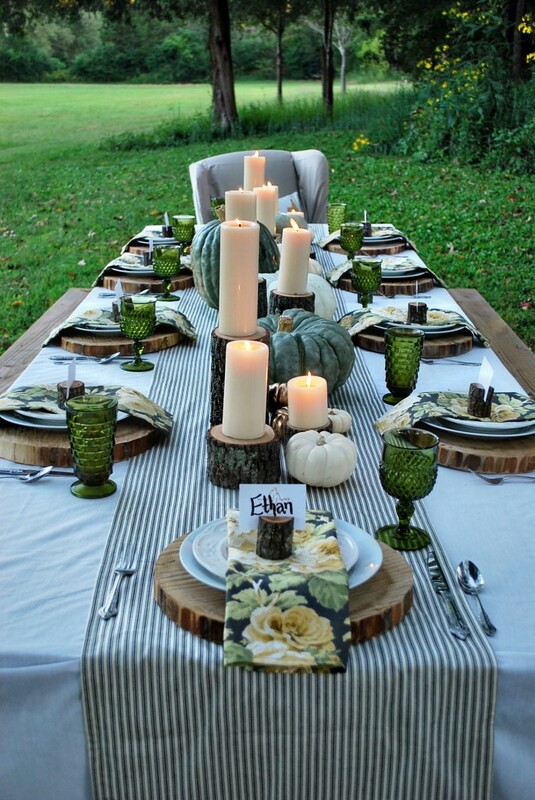 I love the use of wood elements in this tablescape. 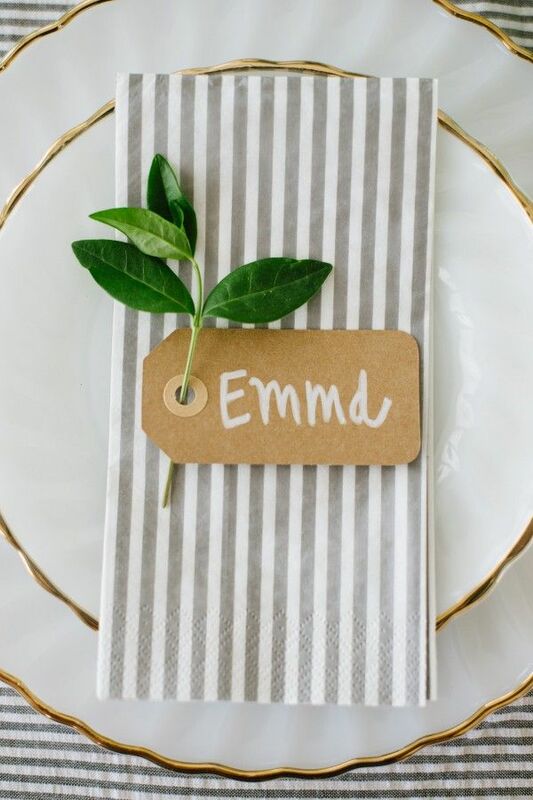 The wood slice chargers, pillar candles on top of wood stumps and place card holders are super cute. This simple table would only take about five minutes to put together once you have the supplies - it doesn't get any easier than that! More gold? Why not. Those plates are from West Elm, by the way. I checked and I don't think they're available anymore, sadly. 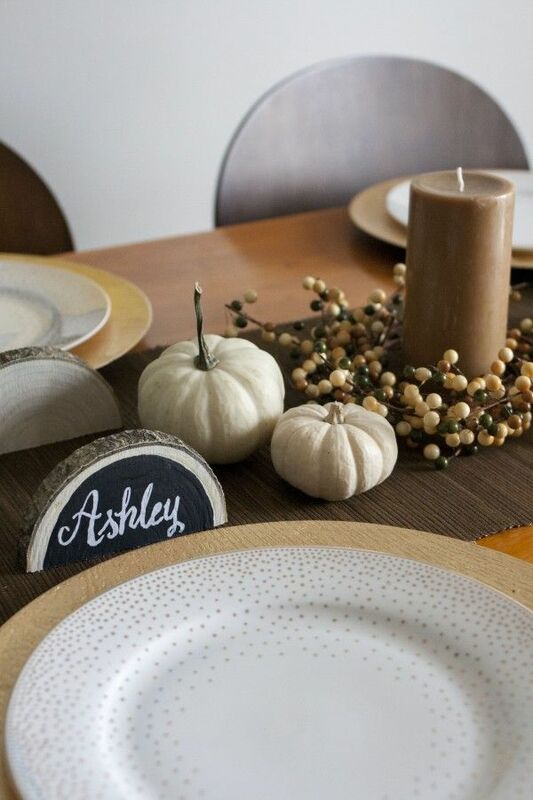 Do you have plans for decorating your Thanksgiving table? What do you think of these ideas? Love the one with the striped napkin!